The Early Winter Night Biking Gloves aim at augmenting established movements while riding a bike with a layer for personal security. Raising visibility is a big issue for urban bikers. 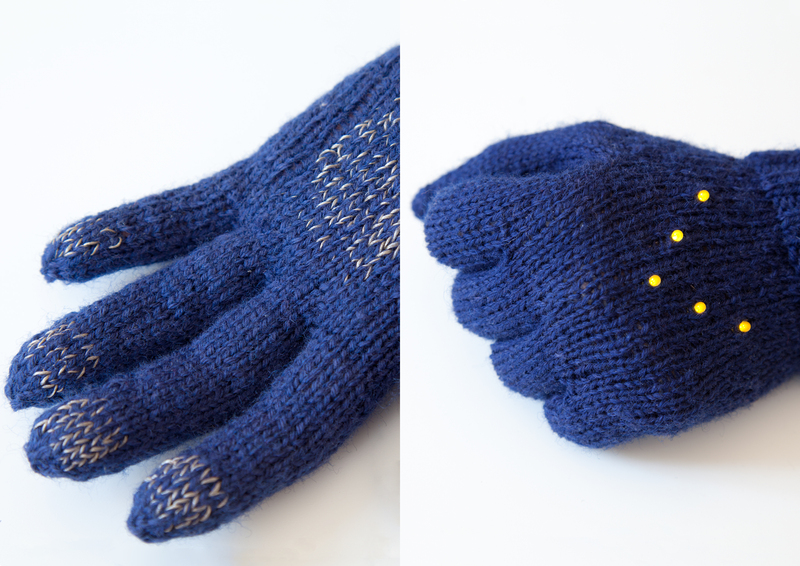 The Gloves aesthetically and functionally translate this need: Winter nights come early, thus there is more need for extra lighting; at the same time it is cold, so wearing gloves is necessary anyway. 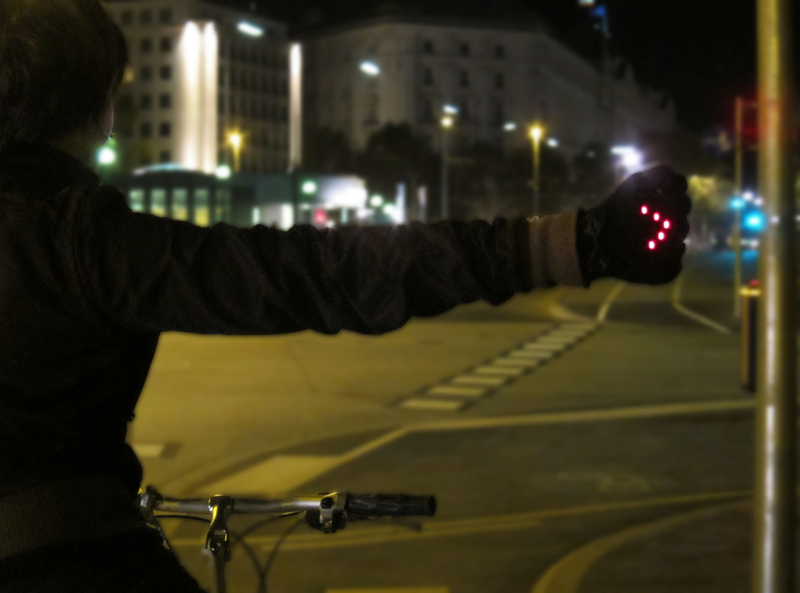 Preserving the look and feel of normal gloves, LEDs showing a turn signal light up when the hand is stretched out and a fist is formed are a strong signal for following cars. In the design process it was important to me to keep gestures to turn the lights on as natural as possible and the technology behind it just as complex as necessary. I experimented with a few interaction scenarios (you can see some examples here). Choosing gloves as the basis allows to have the signal actually at the further most extension of your body, being for following cars not just an indication that you are turning, but also what distance they should keep from you. Also, risks that the signal is covered by a backpack or similar, as possible when directly mounted in a jacket for example, are kept minimal. 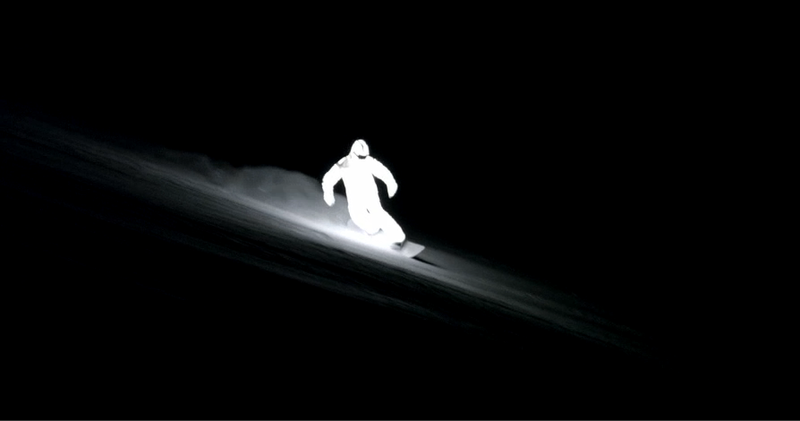 Pro snowboarder William Hughes dons a full body LED suit for this breathtaking video by filmmaker Jacob Sutton. 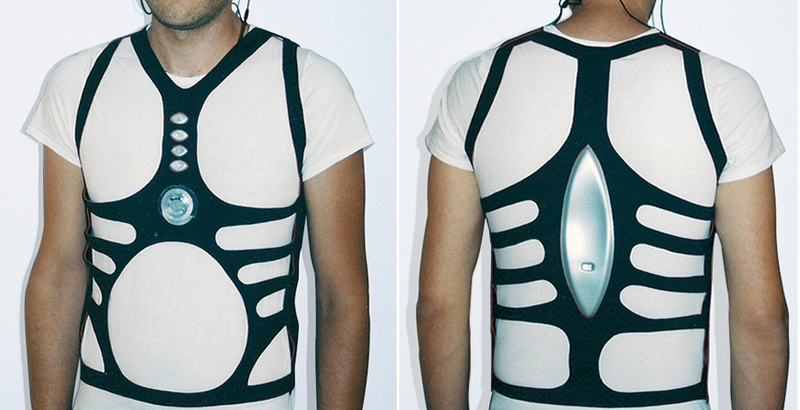 The suit was designed by John Spatcher and was the sole source of illumination for the video. 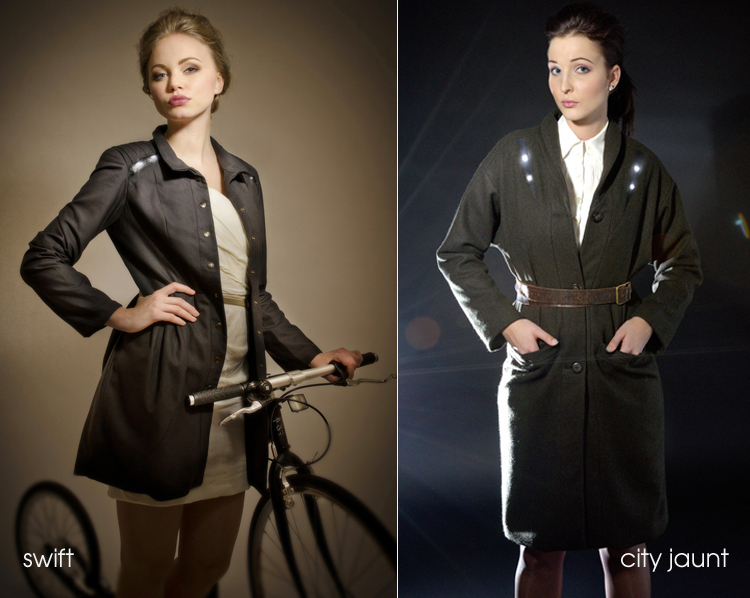 For 2012/13, Angella Mackey has expanded her line of gorgeous illuminated coats adding 8 new products to her Vega collection. 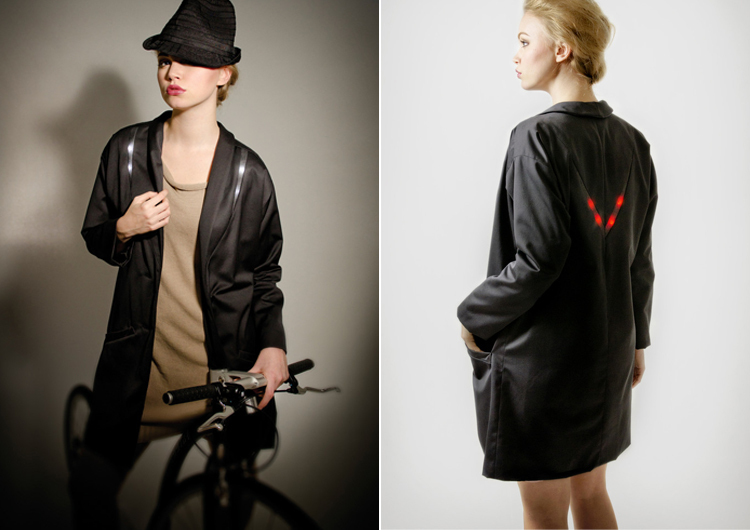 Moving beyond jackets, her line now includes smocks, capes, and even illuminated scarves to keep you fashionably safe on the roads. 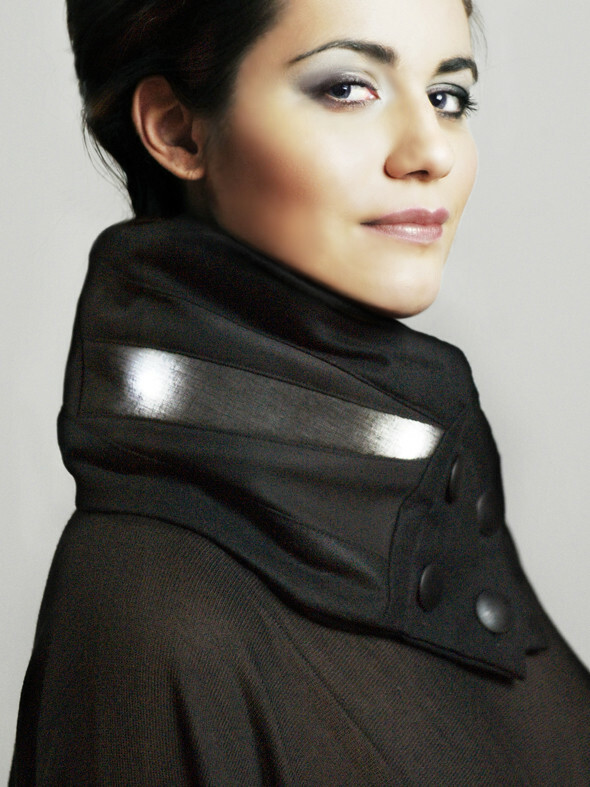 My personal favorite is the Swift coat designed with lovely pleat details in the shoulders. The Jaunt offers a lighter alternative to the vintage-inspired City Jaunt jacket and the Smock is perfect for riding during the warmer months. 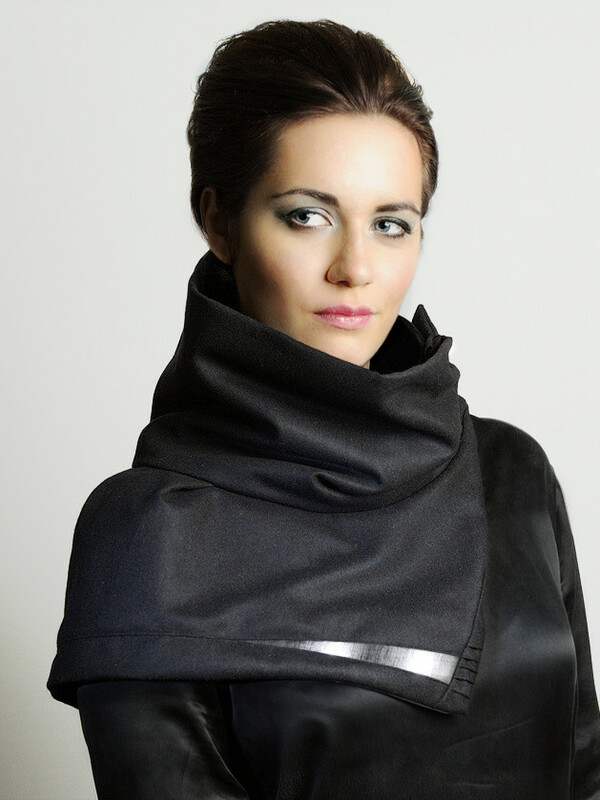 If the coats are out of your price range, a wonderful and versatile alternative is the Aura shawl or Vega Glow and Vega Flight scarves. 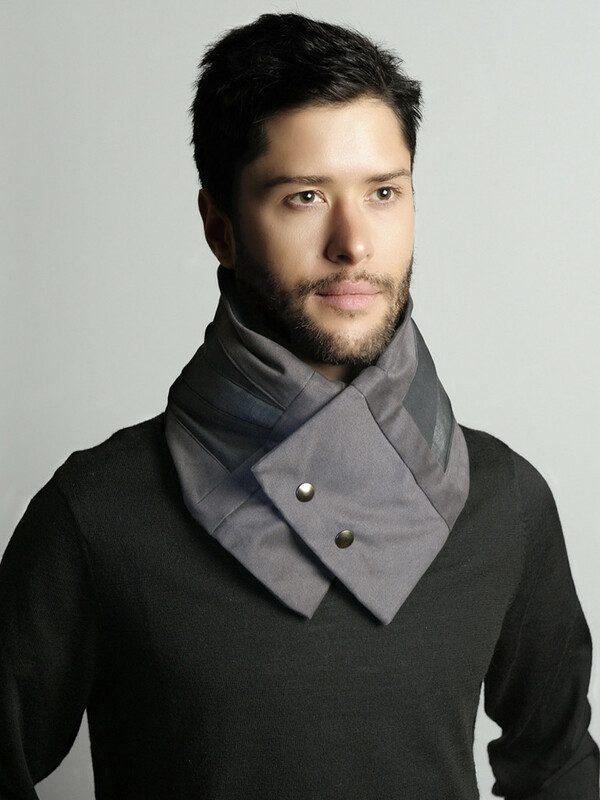 All three are made from 100% wool and incorporate glowing and flashing white LEDs. With last week’s introduction of the Nike+ Fuelband, the competition for the best digital pedometer begins. The three contenders are the Nike+ Fuelband, Jawbone Up and the Fitbit Ultra. As a disclaimer, I have not used any of these devices so the following comparison is purely based on their feature sets. If you have used any of these gadgets, please share your experiences in the comments below. Let’s start with the sensors. All three pretty much use a 3 axis accelerometer to determine movement. The Fitbit also includes an altimeter which measures the altitude of an object so it can tell if you are climbing stairs. If you’re an avid cyclist, you’re at a loss because none of these wearable gadgets can tell if you are cycling. This can easily be resolved by linking the device with a mobile phone’s GPS to allow you to track your rides. Also none of these devices are waterproof (although they are water resistant) so don’t plan on tracking your surfing or laps sweated in a pool. Next up: feedback. All three devices offer entirely different feedback loops for the user. The Fitbit has the most sophisticated visual display (an OLED) that offers cheers of encouragement and motivational phrases such as “Walk Me.” It also uses a graphical icon of a flower that grows and shrinks depending on your level of activity. Similar to the Fitbit, the Fuelband uses an ambient progress bar, changing from red to green throughout the day as the user approaches his goal. The progress display although is limited to 20 color LEDs and the main display to an array of 100 white LEDs. The UP, on the other hand, doesn’t have a visual display. 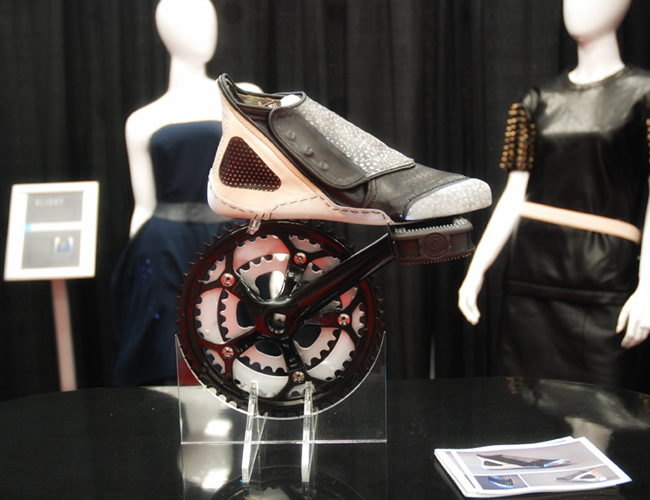 Instead, the UP opted for the use of haptic feedback, using a small motor to alert people of their inactivity. Personally, I like the idea of using haptic feedback vs a visual display but, unfortunately according to the reviews I’ve read, the motor in the UP has the tendency to stop working altogether. The UP is the only device that does not offer the ability to wirelessly upload data. This is a huge usability flaw for the UP and is its achilles heel. 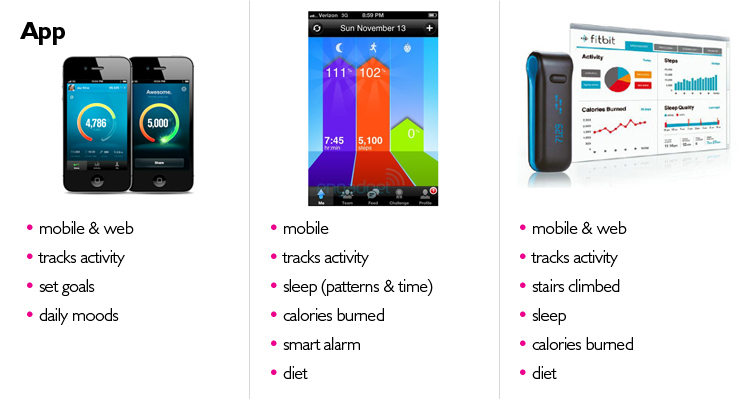 All three devices are accompanied by a mobile app that graphs and displays the collected data. In addition to tracking activity, the Fitbit and Up track the user’s sleep patterns and provide a daily food diary feature. 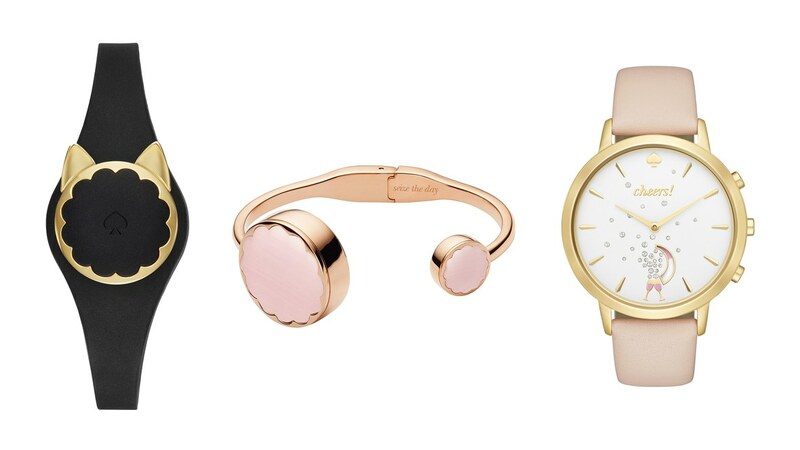 The Up also has a Smart Alarm feature which will wake up the wearer with a gentle buzz. The Nike+ Fuelband app takes a slightly different approach and bases the user experience on setting and reaching personal goals. While the Up has sponsored Challenges, they are broad and not catered to an individual’s needs. It is in the social integration and overall user experience where Nike+ Fuelband has a clear advantage. 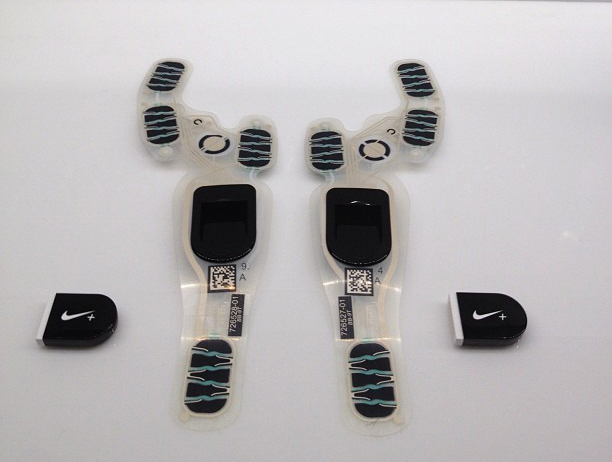 Users can tap into the rich Nike+ online community which has been thriving for years. 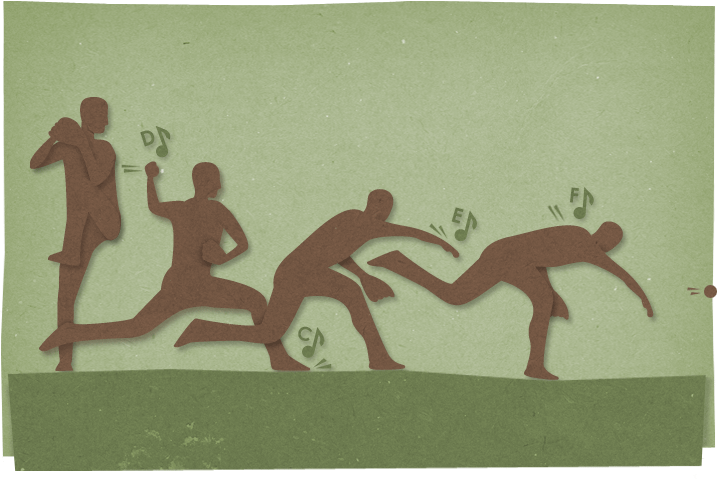 Nike+ offers the ability to share goals and triumphs on Facebook and Twitter and organize and compete with friends. The Fitbit and Up also offer the ability to organize in groups and compete with friends but since their user base is quite small, it may be a bit more difficult to find a teammate. Lastly, I appreciate that the Fitbit, as they say on their site, “plays well with others.” In other words, the Fitbit partners with other nutritional and fitness apps making it easy to sync your stats and personalize your fitness strategy. Once I get ahold of these three devices, I will provide a detailed review of each product and their user experience. Heck, I may even hack into one and customize it to my needs. 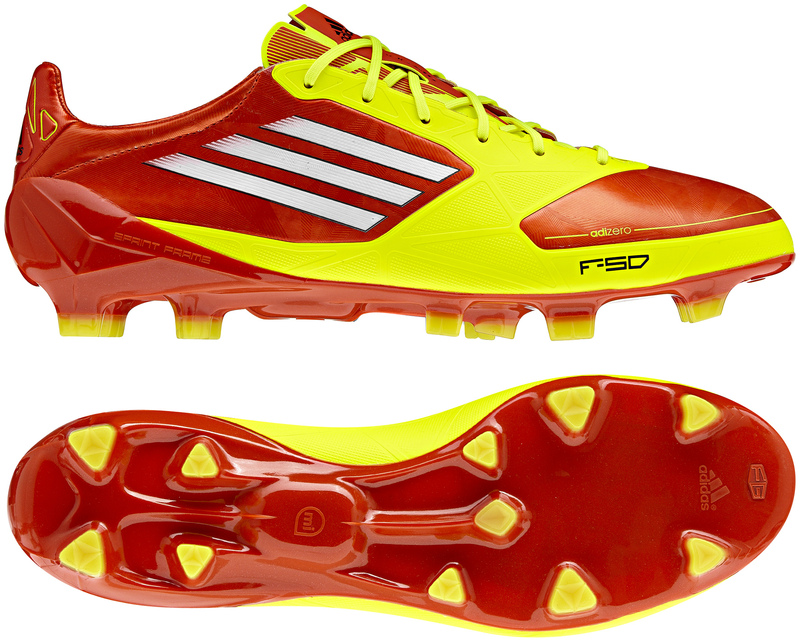 Trailing the relative success of Nike Plus, the Adidas adizero f50 is the latest “smart” shoe to hit the market. 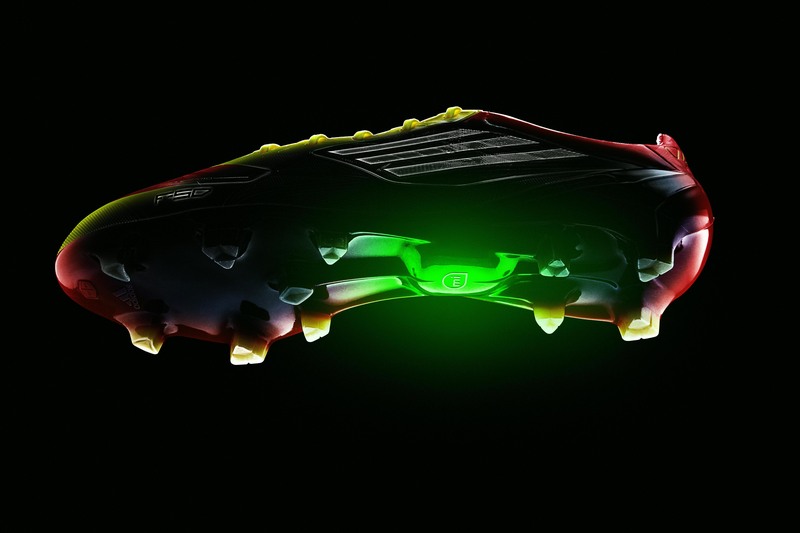 The intelligent shoe is targeted at football (soccer) players interested in tracking their metrics to fine-tune performance. 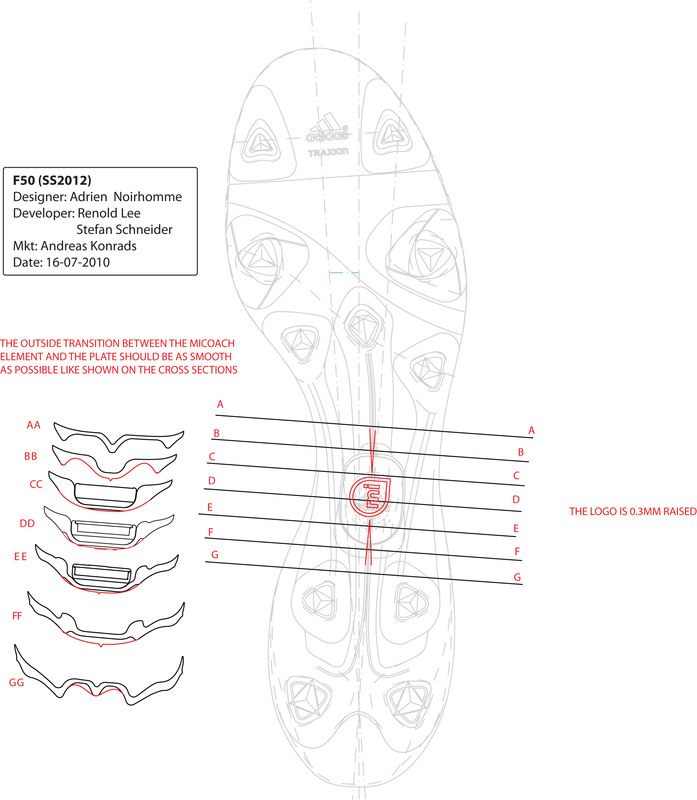 Similar to the Nike Plus, the adizero f50 is designed with a cavity in the outsole that houses the “brains” known as the miCoach SPEED_CELL™. 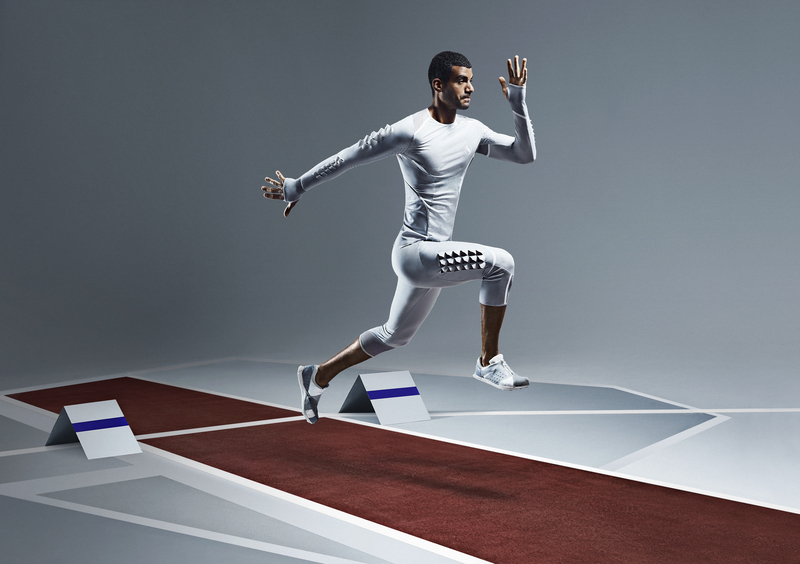 The technology captures 360° movement, average and maximum speed, number of sprints, distance, distance at high intensity levels, steps and stride rates. 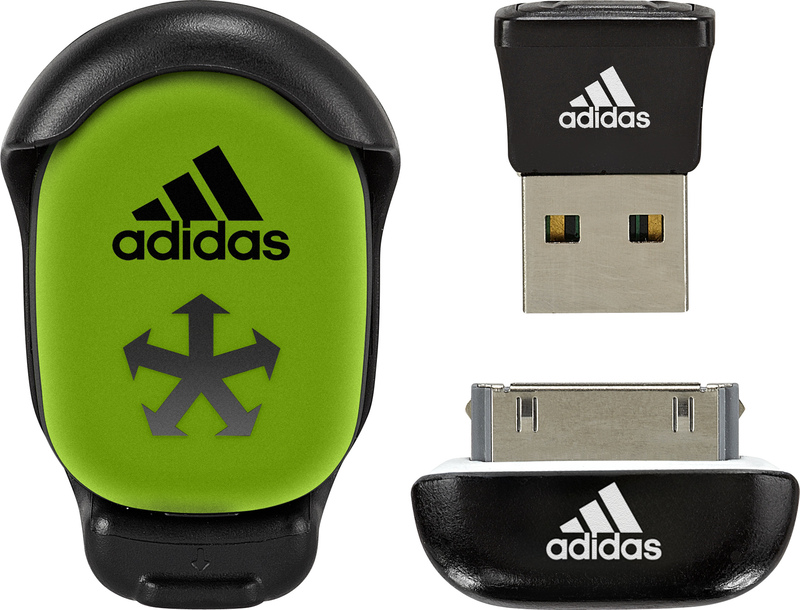 The performance metrics are stored and can be wirelessly transferred to your tablet or computer. And, of course, you’ll be able to share your stats with your friends on Facebook. 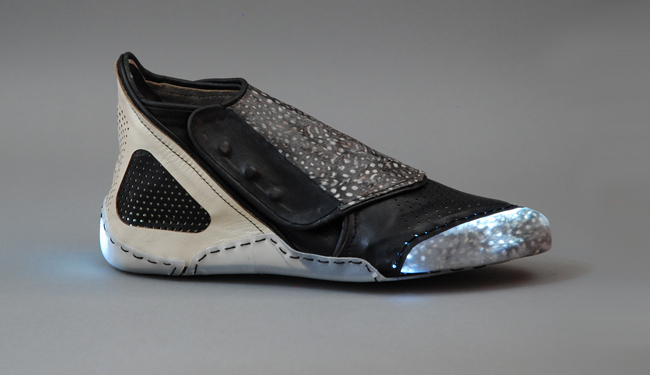 The shoe, including the “brains,” will run about $325 US. From Adidas MiCoach to Nike+, currently there are a handful of personal training systems developed for runners and cyclists. Outside of these two fields, very few wearable technology systems have been designed for other sports. 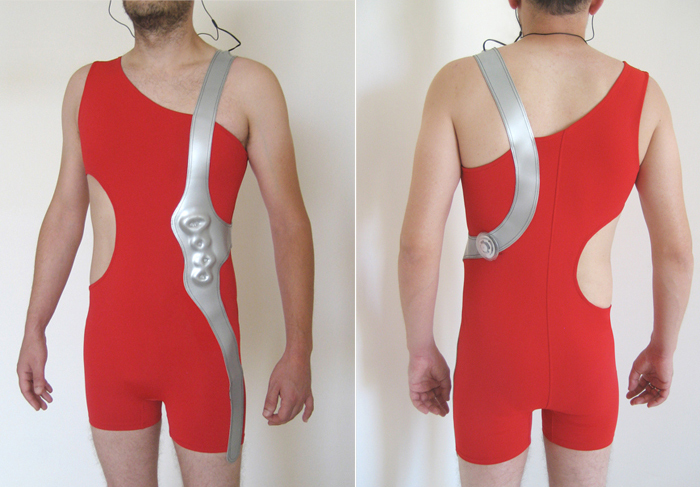 Motivated to expand the research of wearable technology products for athletes, Sebastiaan Pijnappel, an interactive product designer, developed an experiential wearable prototype for pitchers that not only measures pitching rhythm, but also provides aural feedback. 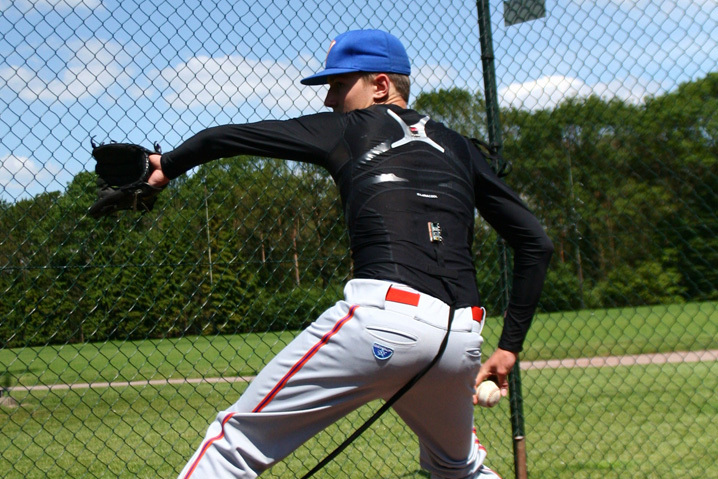 The wearable system measures timing of “key phases of pitching movements” and directly translates movement to an auditory feedback. 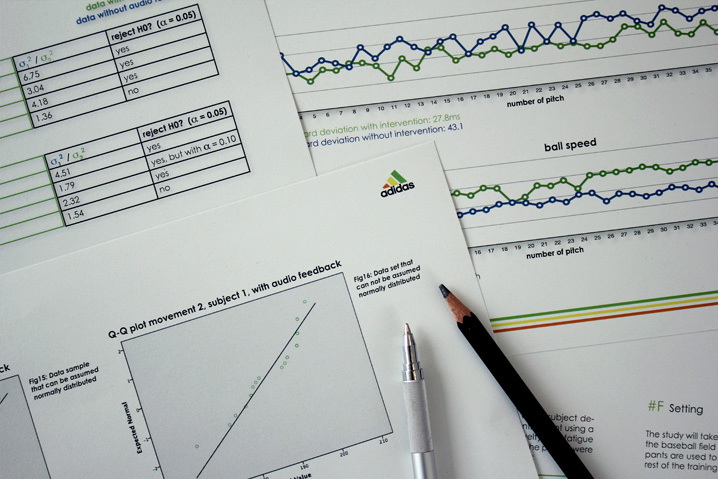 The goal was determine whether sounds associated with movement would improve a pitcher’s consistency. Although the study sample was small, three out of the four test subjects showed improvement as a result of the auditory feedback. More research is certainly needed, but can’t you just see incorporated with the WII fit? Smart phones, no doubt, are a powerful navigational tool that have dramatically shifted the way we navigate our environment. But if you’ve ever had to negotiate looking at a screen while simultaneously riding a bike, you know they aren’t the most user-friendly device while cycling. 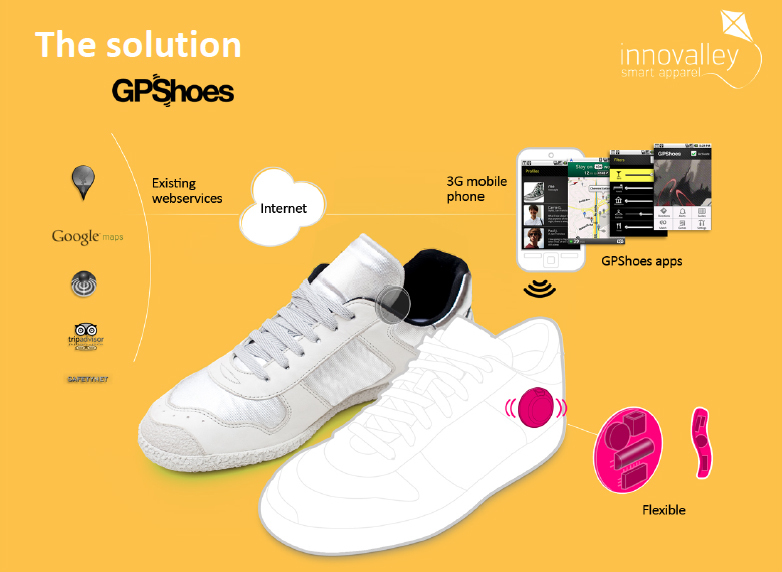 Innovalley, a young Silicon Valley-based innovation company, has created a pair of GPShoes to solve your cycling and navigation woes. 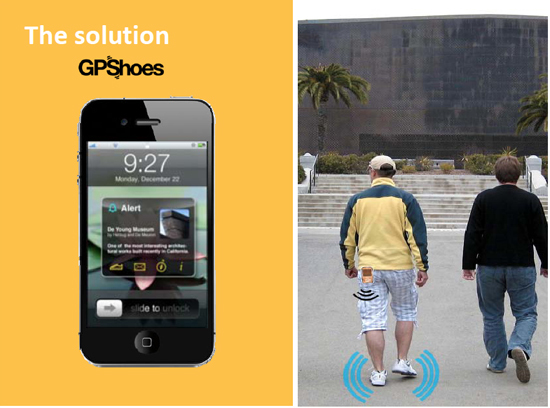 GPShoes are a pair of wireless kicks with vibrating motors in each shoe that connects to your smart phone. The name is slightly misleading as I imagine there isn’t any GPS technology embedded in the shoes themselves. 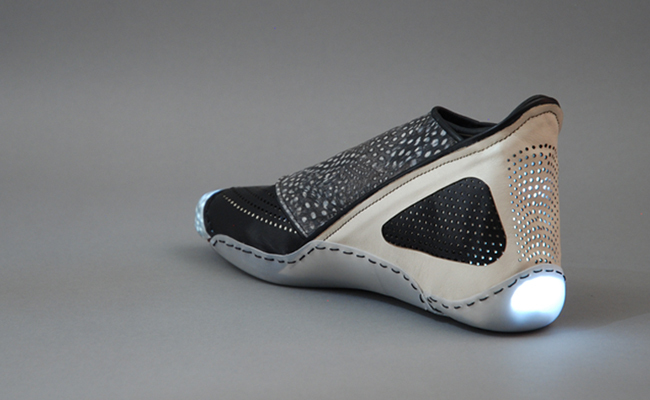 Instead, the smart sneakers wirelessly connect to an app on your mobile phone. 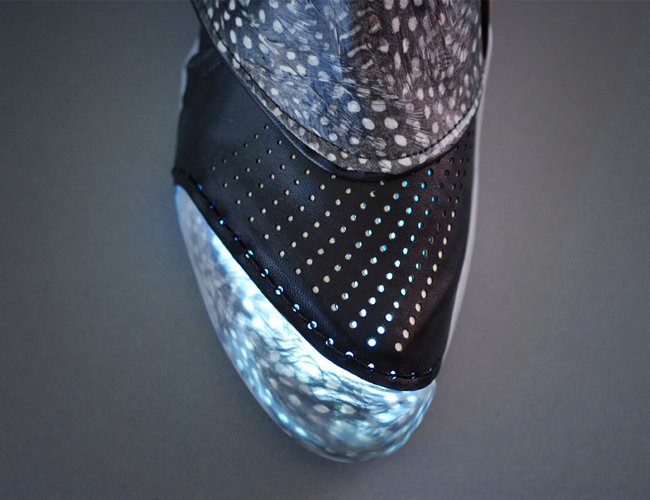 The shoes physically communicate with the user via vibration. 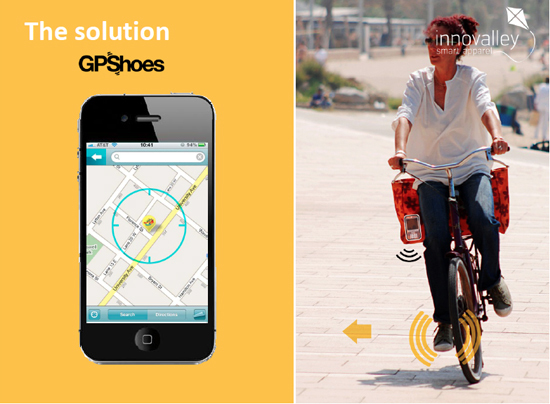 The first use case the company proposed is a pair of sneakers for cyclists to navigate through a city. The second proposed use case is for tourism. Check out the video below for a user scenario. 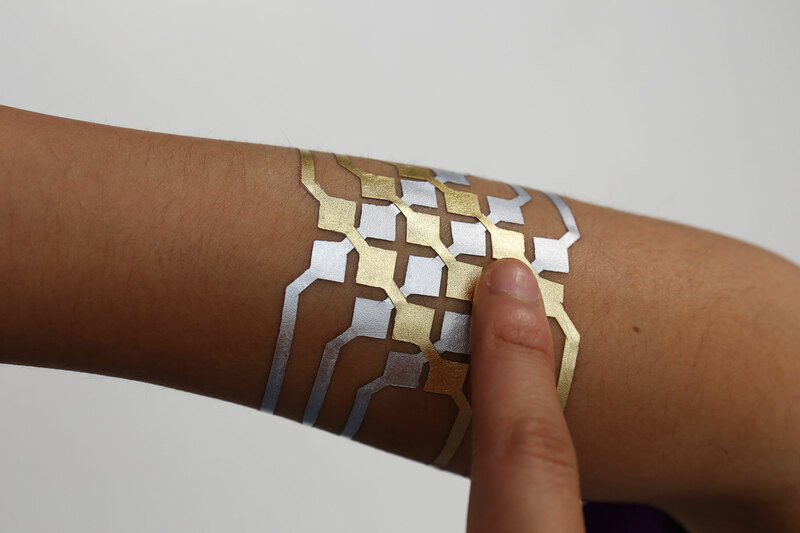 I am thrilled to learn of an innovations company specifically focused on bringing wearable technology to market. My main critique of the product is that it is entirely technology driven. With a bit of design research and understanding of cycling culture and user behavior, the innovations can go beyond the more obvious GPS navigation. There is a lot of unexplored opportunity here. 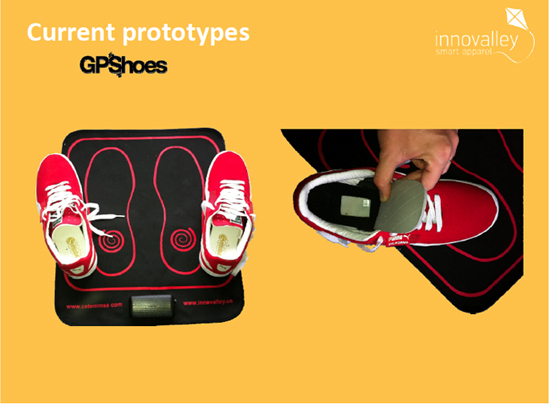 They are seeking partnerships with shoe companies and research centers (hopefully that means design and usability research as well) to develop future iterations. I’m personally looking forward to seeing future developments.